This is a view of right-center field. 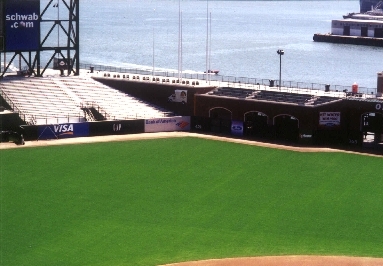 The bay is behind the bleachers. Some tricky angles out there.